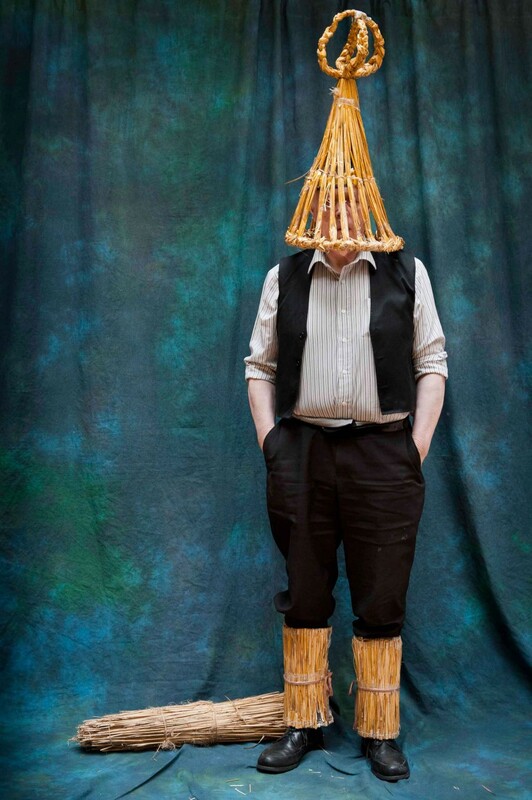 This project is a collaboration with a number of performance groups found in rural parts of Ireland. 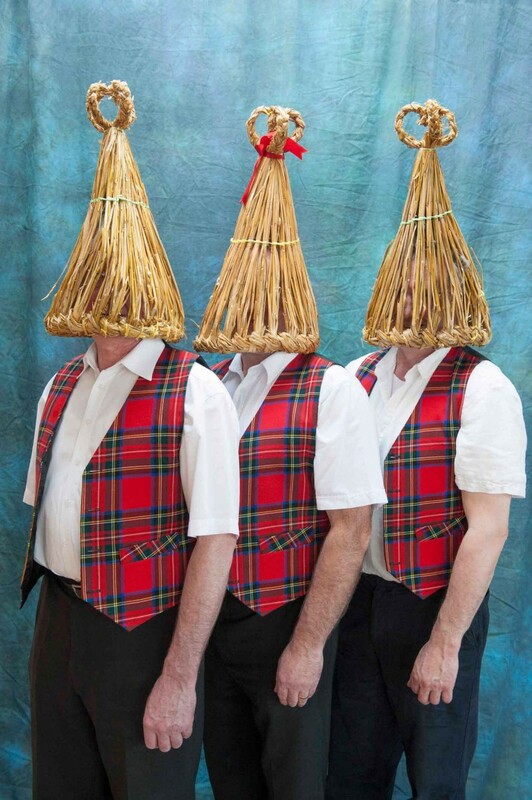 United under various titles such as Strawboys or Mummers, these groups perform through traditional song, dance and raw mischievousness. 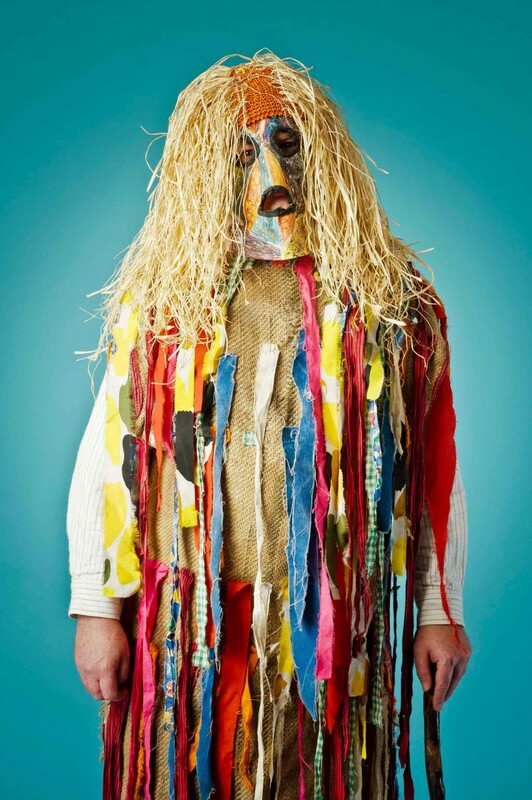 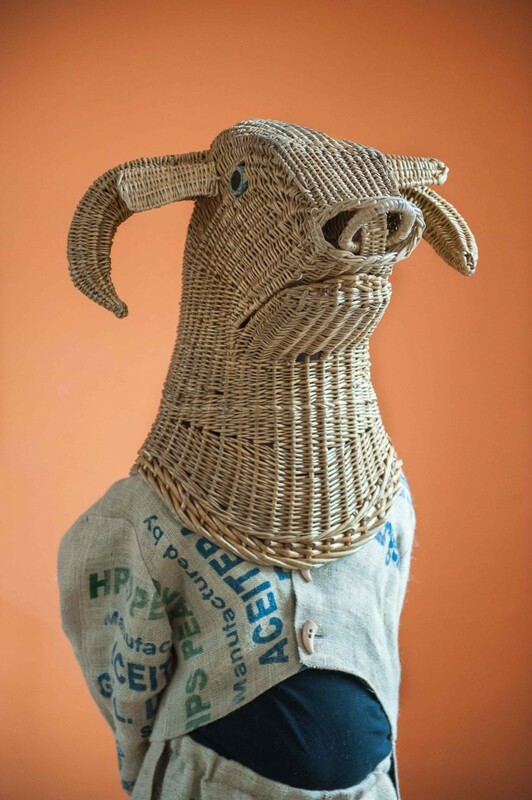 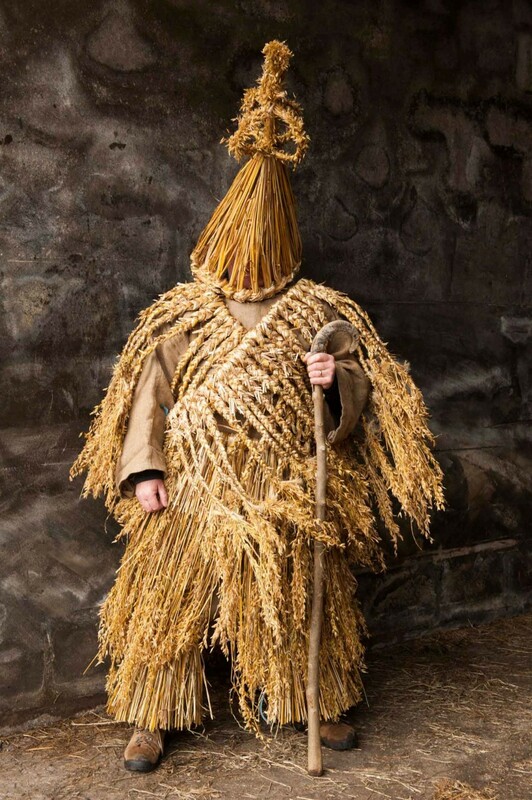 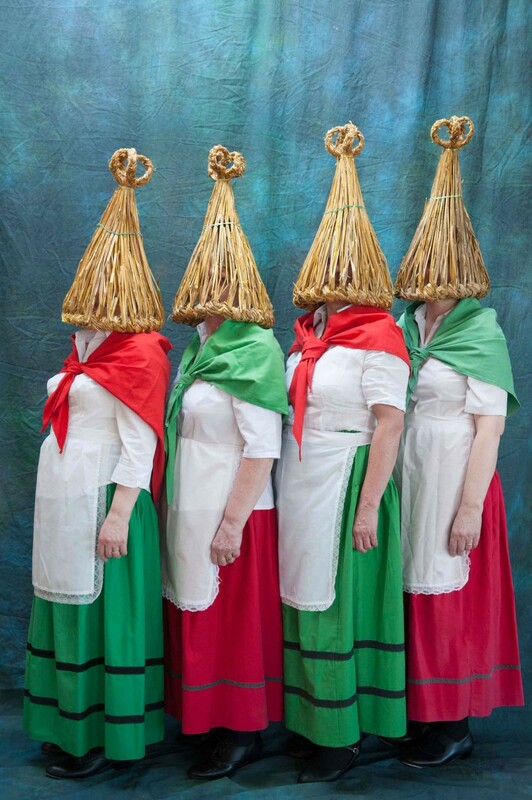 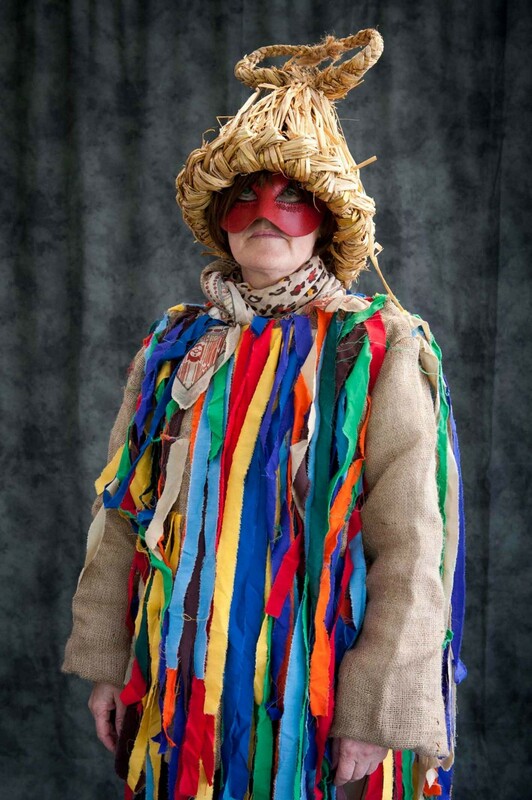 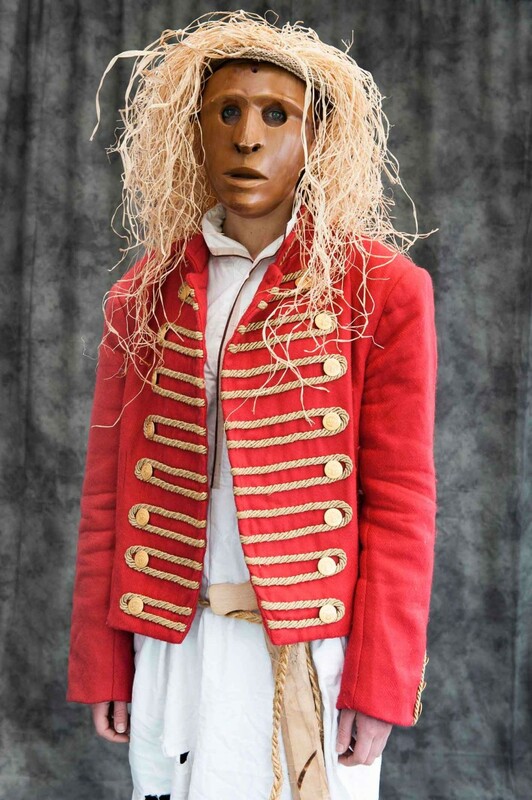 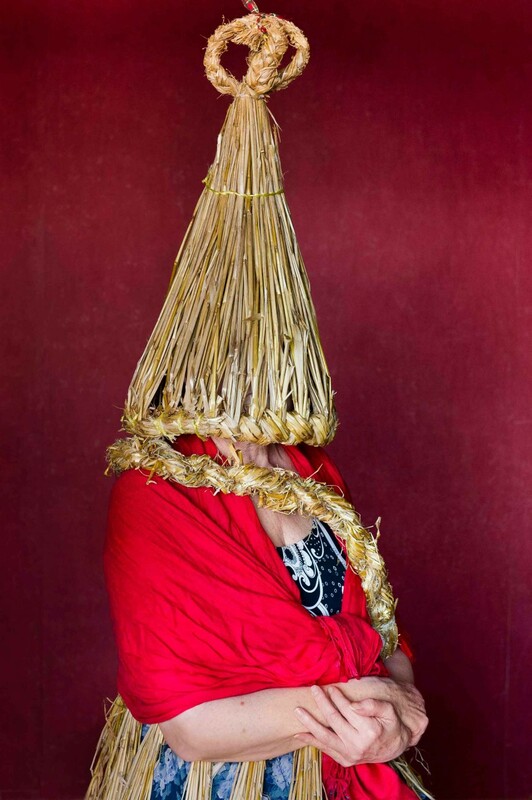 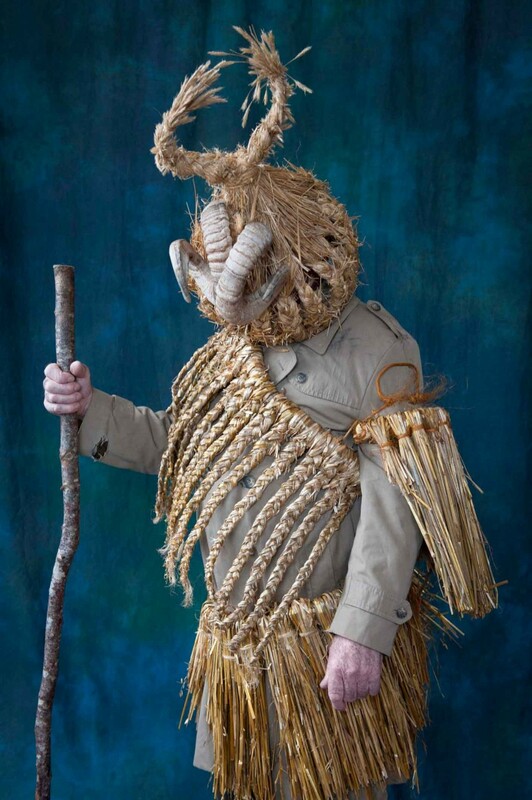 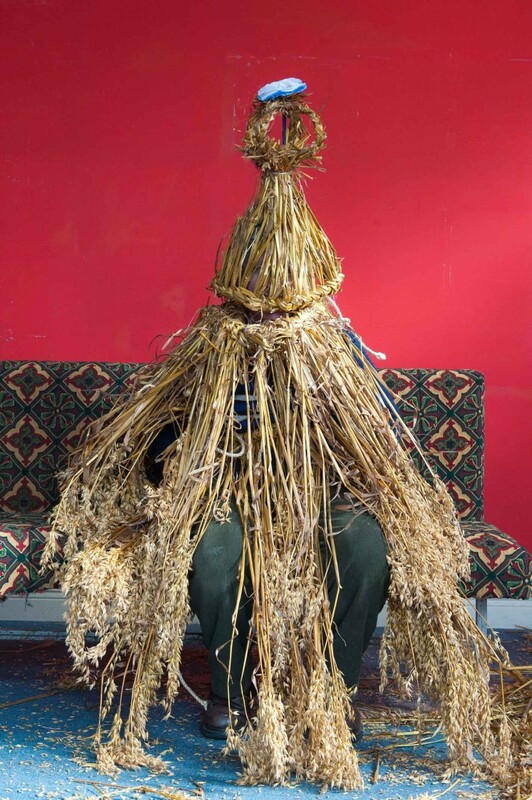 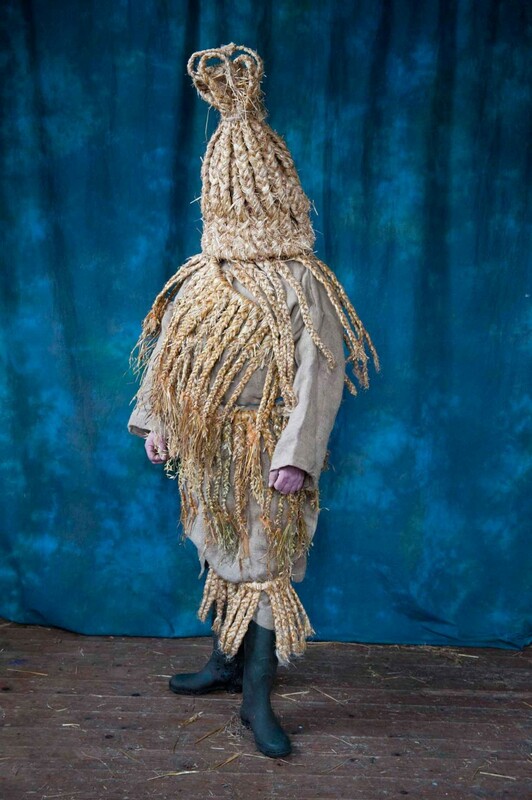 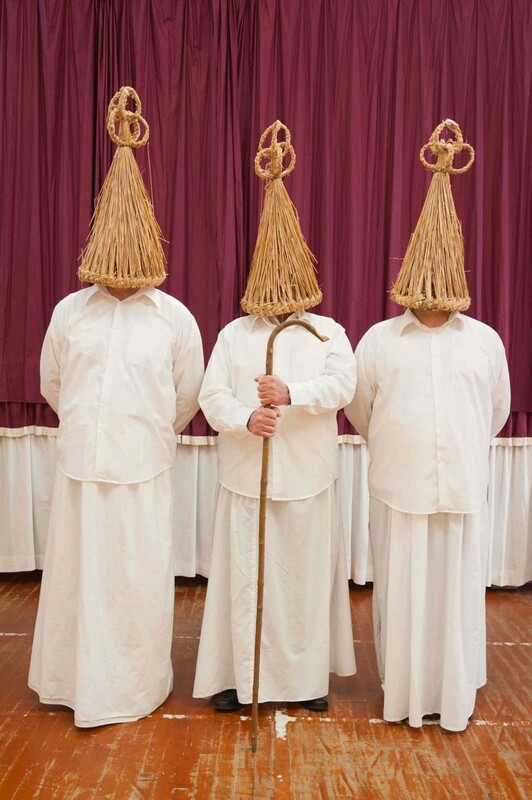 These groups traditionally present themselves disguised behind masks and elaborate costumes which are often made from the humblest of readily available materials, straw. 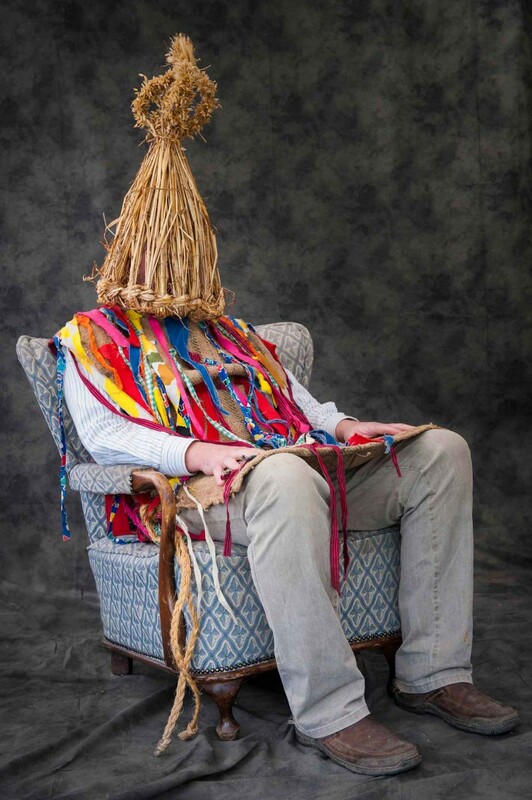 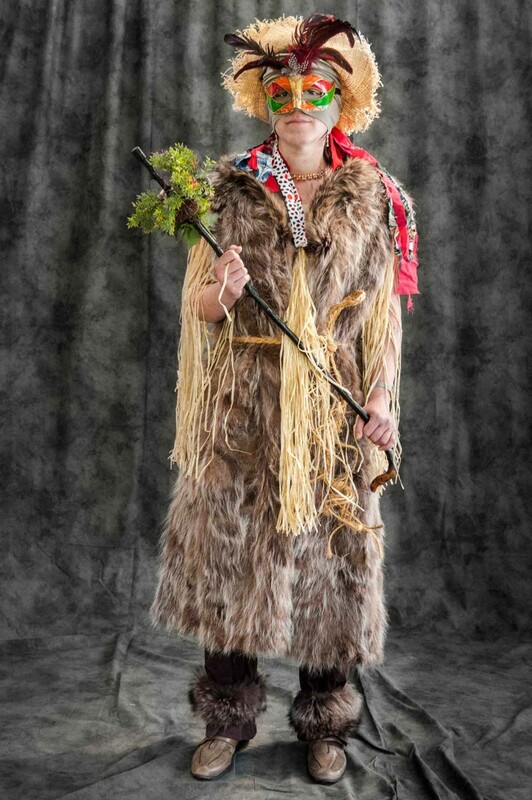 Using the standard formal portrait, this project records and celebrates this colourful traditional curiosity.